84 Podcast Guests in 2017! Speaking of passionate hobbies I've had for over five years, Toronto Mike'd turned five years old in August. More episodes were recorded in 2017 than any calendar year previous. 86 episodes of Toronto Mike'd were recorded in 2017 (plus two bonus shorts for subscribers), comprising of 84 different guests. So much for a weekly podcast, eh? Here are the 84 people who were kind enough to visit my basement in 2017. Actually, only 82 visited... Jesse and Gene were Skyped in from the left coast. Thanks again to everyone who dropped by for a healthy dose of #realtalk. And thank you to everyone who listened to an episode or two or 297. 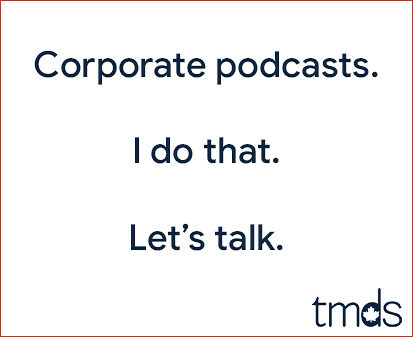 This podcast is powered by you. Congrats on the continued growth and success of your podcast, Mike. It is, in my opinion, the preeminent media podcast for one of the largest cities in North America. To facilitate that organically mostly through word of mouth and reaching out to guests yourself is pretty amazing. Thanks for all the content. Happy new year to you and your family. I will be donating this year Mike. Just gotta get some cash saved. But I love the podcast. By the way, what were the podcast shorts for subscribers? I download directly form this site. The two non-episode clips that went on the feed for subscribers were right after Gord passed. I don't think I'm a lefty. I just feel the way I feel about stuff. Thanks Mike. I wanted to hear a reaction from you about your favourite lead singer. I always love the 12:36 episodes too. You forgot to add Elvis & 12:36 & possibly others to this list. Sorry Mike - I just saw Elvis & 12:36 up near the top. Nobody was missed, but when people visited more than once I only listed them the first time.